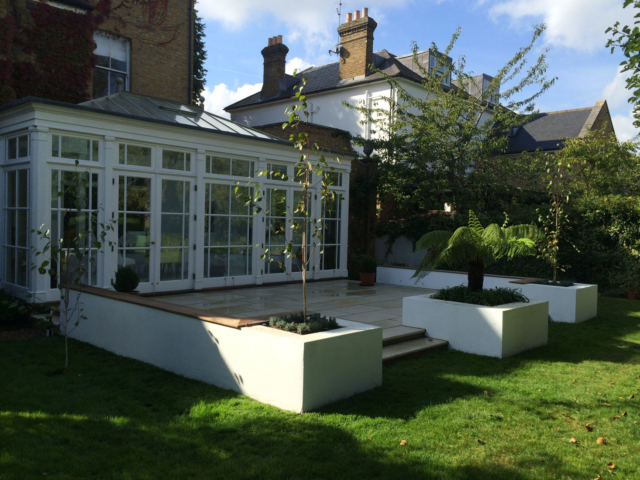 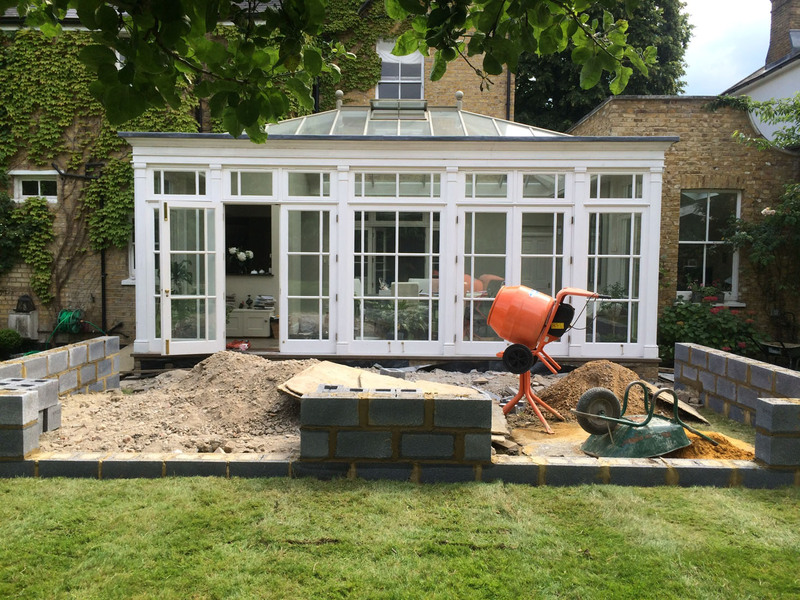 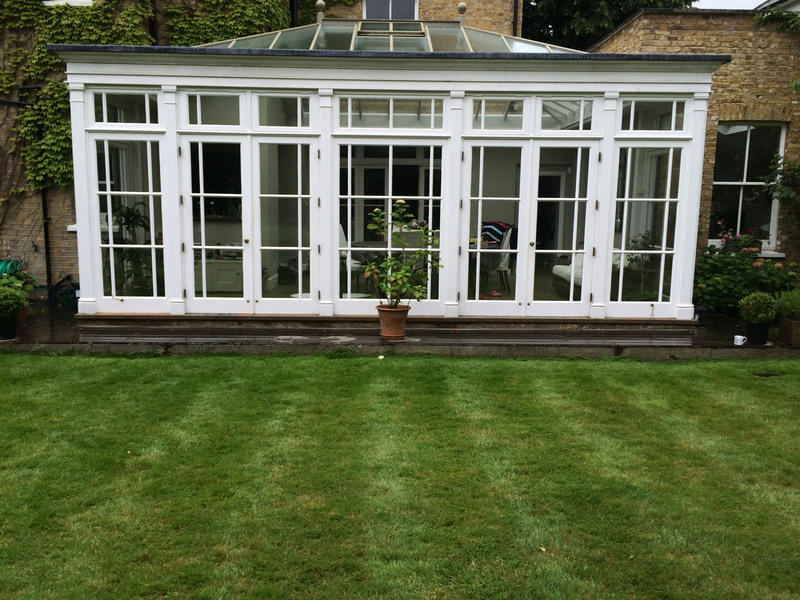 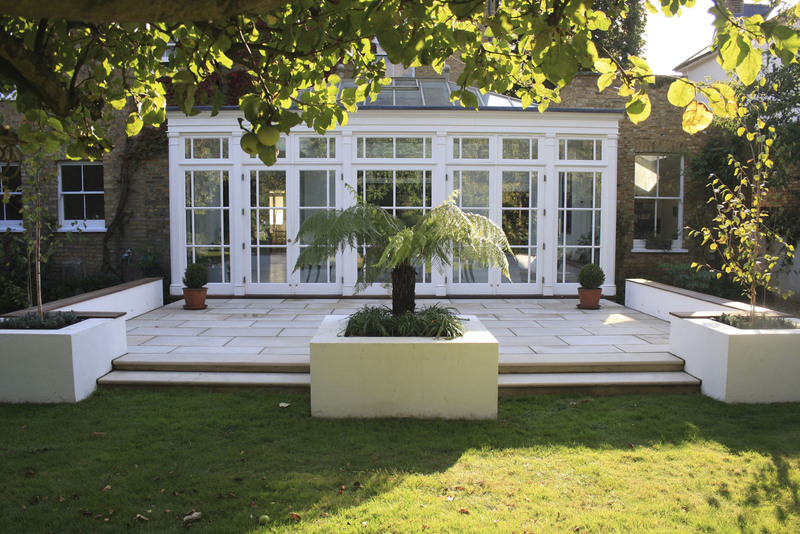 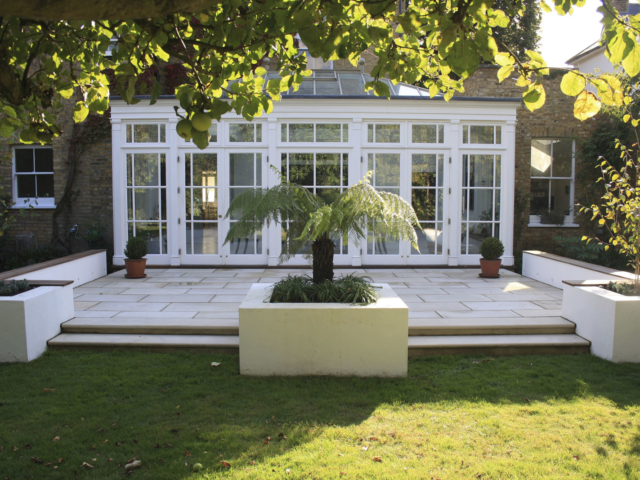 We were recently commissioned to construct a terrace with incorporated seating and planting areas. 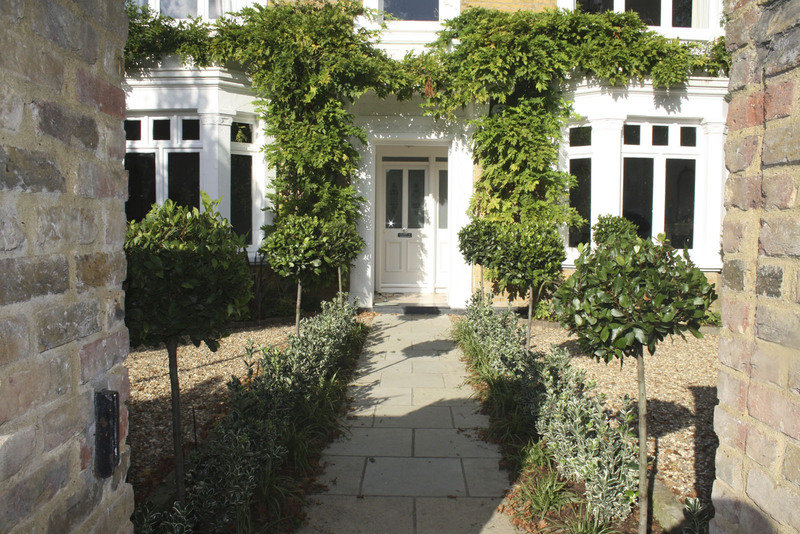 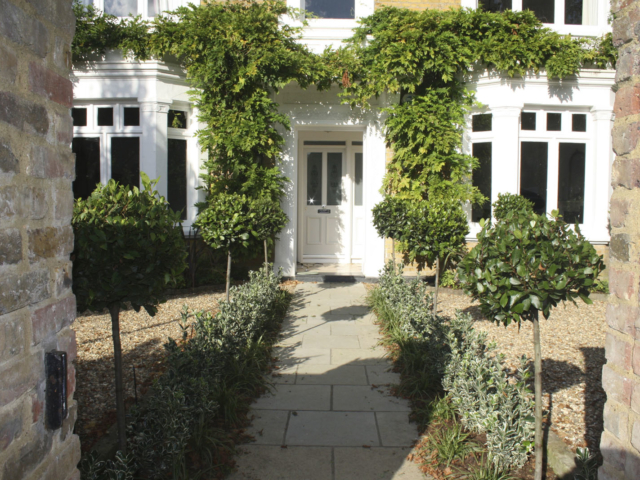 Our clients wanted a Contemporary design that would complement their historic 200 year old period property, situated in the historic Hampton Court area. 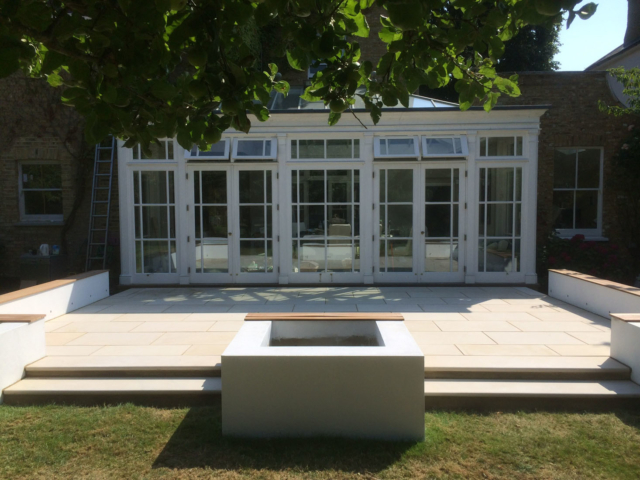 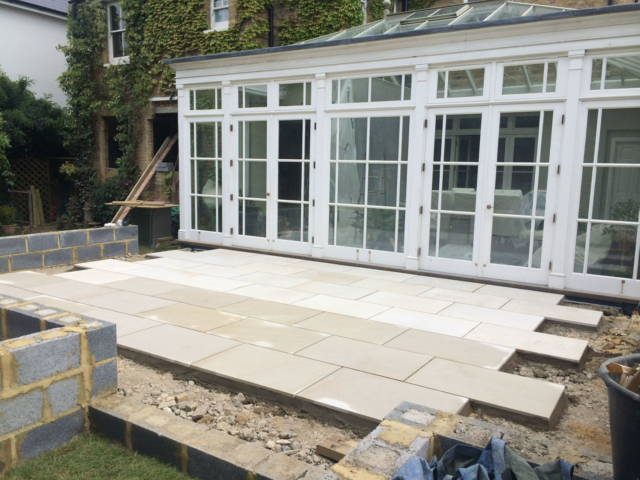 We recommended using light, modern Beige Sawn Sandstone paving, which was supplied by London Stone for the terrace, with Contemporary rendered walls with Western Red Cedar seating, which was directly fixed to the walls. 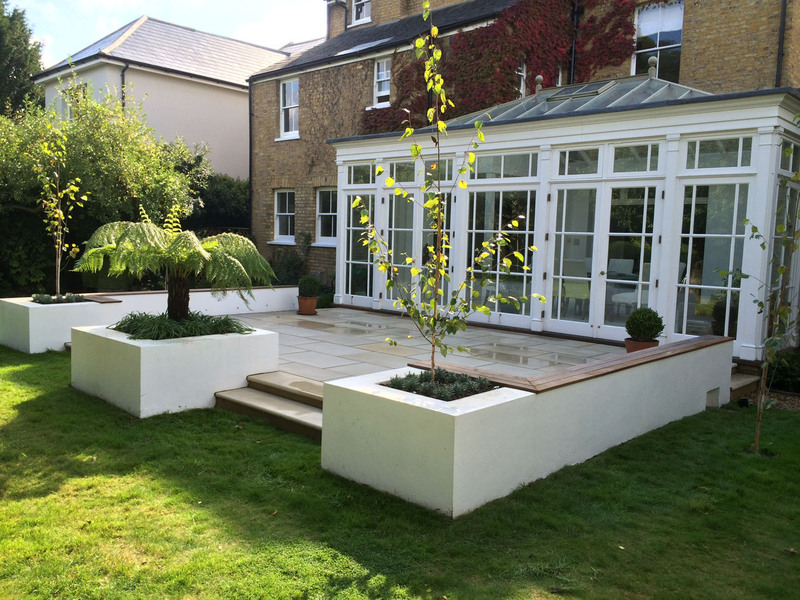 Three boxed planters were positioned on the perimeter of the terrace, which were subtly planted to ensure the view of the garden was not obstructed, but still provided vibrancy and colour to the terrace. 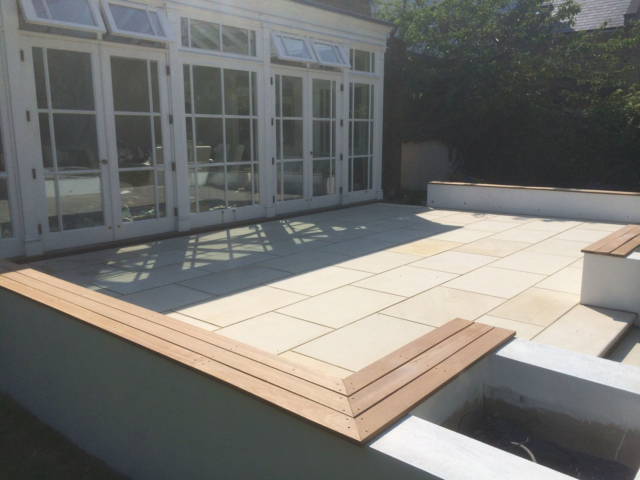 Matching bullnosed steps were installed on the edge of all the terrace exit points, which softened the edge of the paving and created intricacy and detail to the terrace. 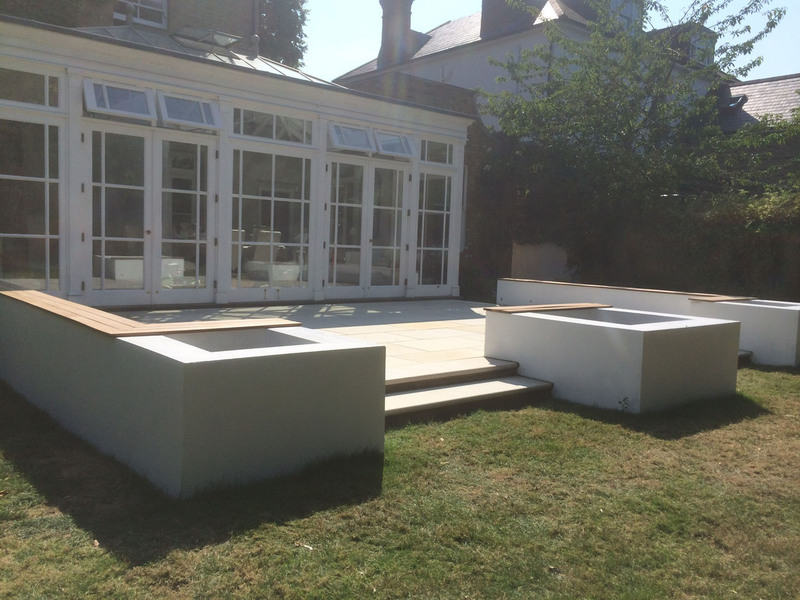 Our clients were delighted with the finished project and how seamlessly the new Contemporary terrace, seating areas and planters were incorporated within the historic traditional surroundings.